It is official! 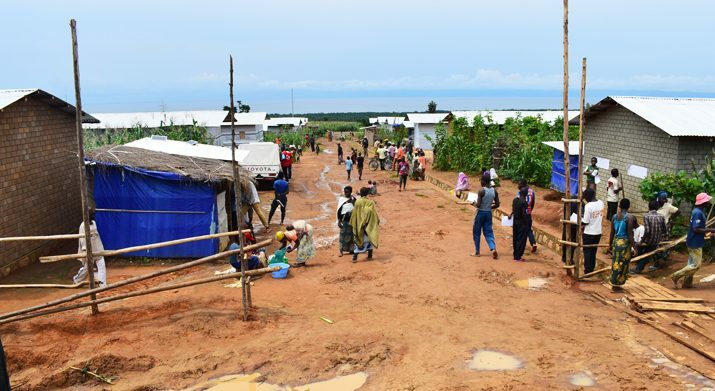 More than 1300 displaced people from Mayengo within the Rumonge province will soon gain access to healthy, safe and solid housing gracefully through the Burundi Red Cross. Henceforward, the tents that sheltered the victims of the floods and landslides of Cashi and Gitaza will leave room for robust housing. In total, 174 houses will be built. 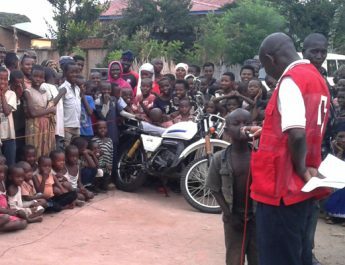 The Burundi Red Cross with the funds of the United Nations Development Program, UNDP, carries out the work. 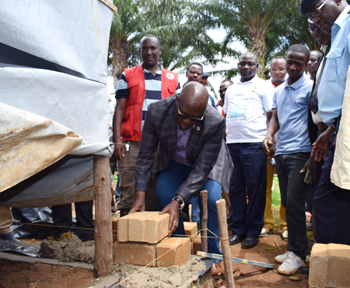 The launch of the works took place this Tuesday, January 15th of 2019 in Mayengo where the Secretary-General of the Burundi Red Cross had made a trip for the purpose of laying the first stone. “The last time I came here, I discovered the sad reality: your shelters had fallen into disuse. 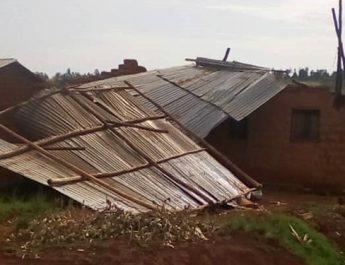 But, the Burundi Red Cross’ wish for the moment is not tents, but rather sustainable houses”, said Mr. Anselme Katiyunguruza, Secretary-General. And to add: “All that one can pretend to do for the vulnerable without him is against him”. He invited them not to turn a blind eye to any malfunction. “The vulnerable must be at the center of all action of the Red Cross”, he said. Anicet Nibaruta, on behalf of the activity monitoring team, abounds in the same sense. 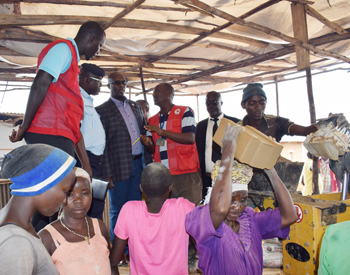 “We are already satisfied with the commencement of the work as well as the quality of the bricks that the Burundi Red Cross is manufacturing”. 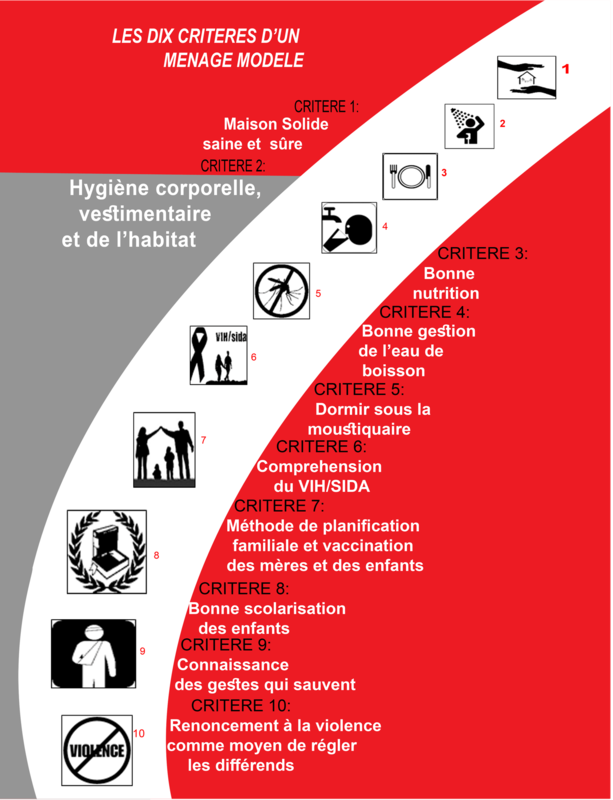 The Red Cross has been designated to do this work because we do not doubt its willingness, availability, and capability. Barely as the labor started, the beneficiaries exulted! 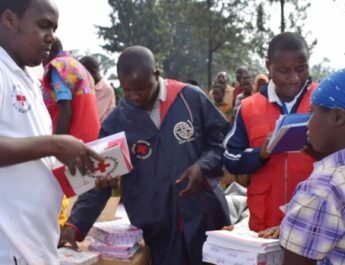 Bitariho Rémy, head of the Mayengo site is full of praise and appreciation of the Burundi Red Cross. “We are looking forward to the commencement of the work. We want to get out of these tents as soon as possible.” expressed his self. And to add, that they also wish for the inhabitants of the site to be part of the workforce in the construction work of these houses. A request has already been granted, because unskilled labor is organized as ”cash for work”, with effective involvement of the vulnerable. More than 600 people, including the inhabitants of the site, are already working on the construction site. The construction work of these houses will last for 6 months.